Xperia i1 (Honami) . This device has shown up in a handful of “leaks” and has been rumored to come equipped with a 5-inch 1080p display, top of the line Qualcomm Snapdragon 800 processor, 2GB RAM, ~3,000mAh battery, water/dust resistance, and improved imaging capabilities thanks to a 20MP camera and xenon flash. 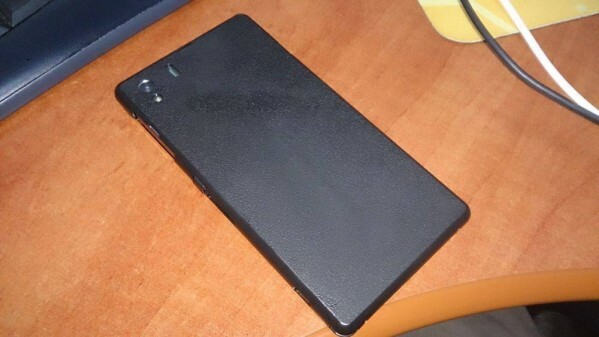 the device looks almost the same as Sony Xperia Z . The biggest difference is that this device comes equipped with that xenon flash we’ve been hearing so much about, along with and LED flash (more than likely for low light video). The device is expected to be unveiled on july 4th ,with a launch sometime in September (overseas), with global availability coming later down the road.